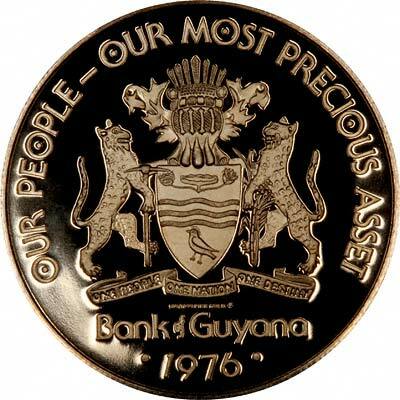 British Guiana's first gold coins were issued in 1976 to celebrate the tenth anniversary of its independence in 1966..
We occasionally have a small selection of Guyana gold coins in stock. We show the specifications here of the most frequently held coins, followed by a list of coins most recently available. 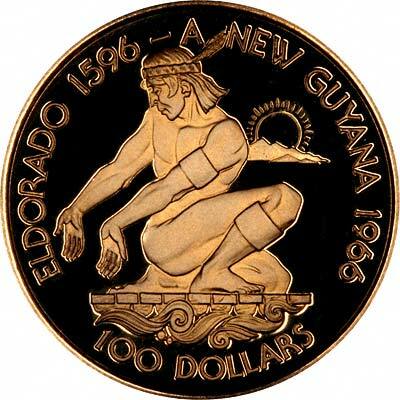 Technical specifications of the most frequently encountered Guyana gold coins. We make an active market in almost all world coins, gold or otherwise, including Guyana gold coins. If you have any of these coins to sell, please contact us, or post them to us for appraisal and offer.